Sydneysiders paying their respects to siege victims at Martin Place have shouted down a group of anti-Islamic protesters who appeared at the memorial on Friday afternoon. 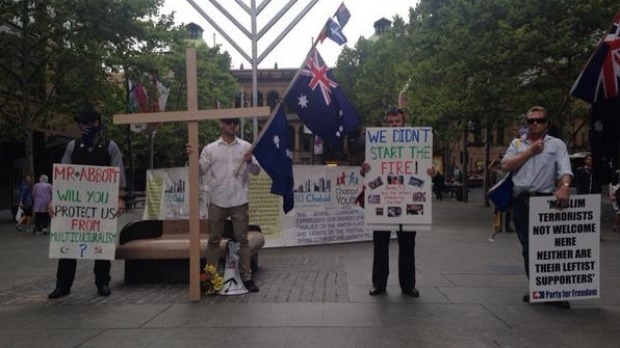 Four men waving Australian and Southern Cross flags shouted slogans including “Islam is evil” and “not all cultures are evil – Islam is inferior”. The men also accused Muslims of being “murderers” and supporting female genital mutilation, according to a witness. 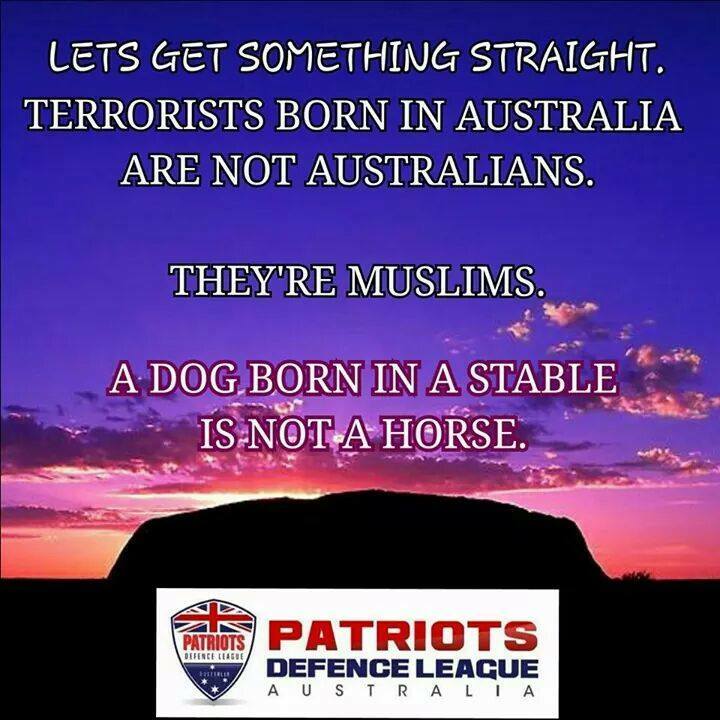 One of the men was Nick Folkes, who has previously been associated with the fringe Australian Protectionist Party and is now the chairman of the “Party for Freedom”, which calls for an end to Muslim immigration and “state-sanctioned multiculturalism”. Most mosques in Canada are “incubators of Islamism,” a controversial Muslim commentator told a startled parliamentary committee Monday, an assertion that was challenged by the panel. “Any legitimacy given to them as a matter of community or political outreach only further entrenches the practitioners of Islamism disguised as religion and spreading their ideology,” Salim Mansur, a provocative University of Western Ontario academic, told a Senate inquiry into national security threats facing Canada. He blamed imams and what he sees as the failed policy of multiculturalism for helping radicalize young Muslims and others to embrace jihadi doctrine. “At homes and around family gatherings, political discussions abound as families remain tied to their native lands and cultures despite having settled in Canada,” said the India-born Mansur, a long-time public critic of multiculturalism. Mansur: “It is very complicated but we cannot walk away from the ugly reality that we, that I as a Muslim have been confronting all my life. 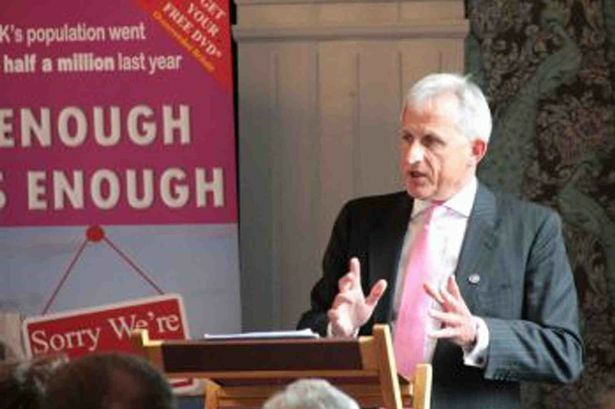 No further action has been taken by Ukip against one of its Welsh parliamentary candidates who condemned diversity and the notion of a multicultural society. In October the party said that Martyn Ford, who will stand in Swansea West at next May’s general election, would be reported to its national executive committee. But now Ukip says there was no need to do that because he had already been given a “final warning” before we raised the contents of a leaflet distributed in the constituency. The leaflet stated: “Islamic terror. Abuse of our children. The consequence of multiculturalism.” It went on to quote critical remarks made by Mr Ford about Muslims, immigration and the “political elite”. Muslims were the most disadvantaged in terms of employment prospects out of 14 ethno-religious groupings in the UK, researchers Dr Nabil Khattab and Professor Ron Johnston found using data from the Office for National Statistics’ Labour Force Survey of more than half a million people. Skin colour made little difference to the figures. Dr Nabil Khattab, of Bristol University, said the situation was “likely to stem from placing Muslims collectively at the lowest stratum within the country’s racial or ethno-cultural system due to growing Islamophobia and hostility against them. A Ukip parliamentary candidate who distributed a leaflet condemning diversity and the notion of a multicultural society is to be disciplined by the party. But Martyn Ford has not been suspended as the candidate for Swansea West and his case is unlikely to be considered before late next month. The leaflet states: “Islamic terror. Abuse of our children. The consequence of multiculturalism.” It goes on to quote critical remarks made by Mr Ford about Muslims, immigration and the “political elite”. It is understood that Mr Ford will be reported to Ukip’s national executive under the party’s disciplinary process, but that is not likely to be until late November. Islamic leaders in south-east Queensland say they are being targeted by an increase in hate crimes, following an increase in the terror threat level and the arrests of two people allegedly linked with fighting in Syria. Logan mosque spokesman Ali Kabri said that overnight on Saturday, someone left pamphlets outside the mosque filled with abusive language and photographs, saying Australian Muslims were not welcome in the country. In the past few days officials also discovered a photo of the Mecca and a photo of a pig’s head close by. It followed an incident two months ago when body parts of a pig were found outside the mosque. Mr Kabri said the “silly actions” of a few showed Australia to be an intolerant society to the rest of the world. “But I don’t believe we’re an intolerant society, we’re a tolerant society,” he said. 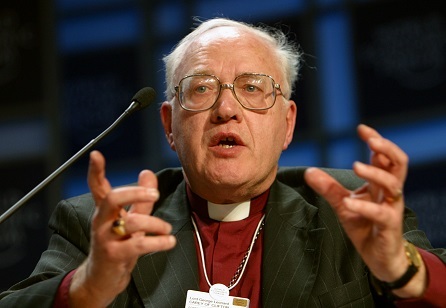 Lord Carey of Clifton said Muslim communities must “discipline” their young people or see them “banished” from Britain after leaving to fight in Syria and Iraq. Islamic leaders in Britain have failed to clearly denounce religious fanatics in the wake of the murder of James Foley by a suspected British jihadist, he suggested. “For too long we have been self-conscious and even ashamed about British identity. By embracing multiculturalism and the idea that every culture and belief is of equal value we have betrayed our own traditions of welcoming strangers to our shore. In Britain’s hospitable establishment different beliefs were welcomed but only one was preeminent – Christianity. The fact is that extremism has flourished in a climate formed by the twin strategies of mass immigration and multiculturalism. Open borders have led to a phenomenal expansion in Britain’s Muslim population to almost three million, many of the new arrivals hailing from parts of Africa, the Middle East and Asia where Islamic sectarianism is rife. At the same time the dogma of cultural diversity has become one of the central obsessions of the state. We are constantly told that we must celebrate the vibrant enrichment of our society. But, by its emphasis on cultural differences and its loathing for traditional British values the doctrine of diversity has been a catastrophe for Britain. In place of integration it has promoted division and separatism. We are a land increasingly without a mutual sense of belonging or shared national identity. It is little wonder that, according to one recent survey, 26 per cent of Muslims here said they feel no loyalty to Britain. Enthusiasts for multi-culturalism love to blather about tolerance, yet it is richly ironic that their pernicious creed has promoted intolerance, misogyny and reactionary oppression. In predominantly Muslim areas diversity means the triumph of the burka, sharia law, fundamentalism in state schools and a reluctance to speak English. By now, it is clear that Article 9 of the European Convention does not protect freedom of religion when the subject is a woman and the religion is Islam…. The ECHR acted politically and opportunistically not to challenge France’s strong Republicanism and principles of laicité, sacrificing the rights of the small minority of Muslims who wear the full-face veil. Rather than protecting the individual freedom of the 2000 women, the ECHR protected the majority view of France. The ECHR is the most powerful supra national human rights court and its decisions have widespread impact. Several countries in Europe, such as Denmark, Norway, Spain, Austria, and even the UK, have already started to discuss whether to create similar laws banning the burqa in public places. This raises concerns that cases related to the cultural behavior and religious practices of minorities could shift public opinion dangerously away from the principles of multiculturalism, democracy, human rights and religious tolerance. The most recent law bans the full-face veil, but tomorrow, the prohibitions may be against halal food, circumcision, the location of a mosque or the visibility of a minaret; even religious education might be banned for reasons of public health, security or cultural integration. 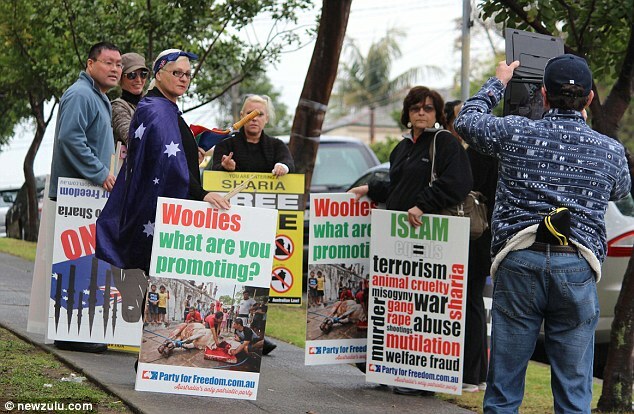 A small group of eight people from the racist, far right “Party For Freedom” held a protest outside Woolworth’s supermarket in Marrickville on July 26. They were objecting to a sign saying “Happy Ramadan” the store had put up earlier in the week. The Party for Freedom is a newly formed group that grew out of the white nationalist Australian Protectionist Party. It campaigns against multiculturalism, wants to “halt Muslim and third world immigration”, encourage “culturally compatible migrants” especially from Europe and North America, and wants Australia to withdraw from the UN refugee convention.